Pet owners are divided over the Bunnings rule which states that dogs are only allowed in store if they are muzzled and on a leash. Since 2015, all Bunnings stores in Australia require dogs to be muzzled, carried in their owner’s arms or placed in a trolley. The controversial rule was made after a child was bitten by a Jack Russell terrier, shares Daily Mail. A flood of customers have criticised the policy on social media after a viral post called out Bunnings over the ‘pathetic’ rule. ‘You have to muzzle your dog in Bunnings?! Just because some silly kid didn’t ask permission before touching a dog and got nipped? F***ing pathetic,’ one angry customer shared on a Perth Facebook group on Saturday. ‘Muzzles are for aggressive dogs and evil crotch goblins. Not friendly, loving pooches,’ she wrote. The post attracted many comments from people who were in favour of the policy. 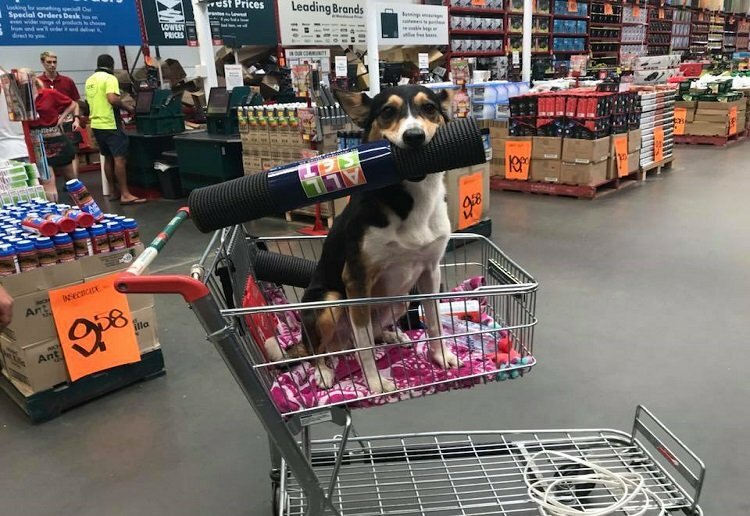 ‘Why the hell do people take their dogs to Bunnings? It’s such a stupid place to take a dog,’ one wrote. ‘I think it’s a good thing, they could’ve banned dogs all together [sic] and they didn’t … if your [sic] too lazy to put a muzzle on your dog then you’re too lazy to own one,’ another wrote. Many unaware users shared experiences of being denied entry into the hardware store because their dog didn’t wear a muzzle. Do you support this policy? I wouldn’t take my dog to Bunnings in the first place – that’s not where a dog should be. I have zero problem with this. When customers go to Bunnings they don’t think they have to contend with dogs as well. Firstly, I’ve never seen a pet in a Bunnings Store. Secondly, I agree with the policy. Dogs are not allowed unleashed anywhere except for special dog parks, so I don’t understand why they would ever need to even be in Bunnings. I only discovered dog were allowed in Bunnings a year ago, after seeing one in store. If someone wants to take their dog that is their choice. I was taught as a kid to ask the owner before petting their dog, I still do at 36!! I still think this is a golden rule and teaching this to my kids. Dogs should stay at home, for goodness sake, I love dogs but I don’t go to Bunnings to pat dogs, also there are so many toxic smells in Bunnings and they will be suffering, so I think it is cruel to take them there. You don’t take your dog to the supermarket or department stores , so why hardware? I have not seen one dog yet at our local bunnings. I never knew you could take your dog into bunnings as i have never seen dogs in the main shop. Seen them in the tradie section in the utes. As for them riding in the trolleys no thanks as children ride in these. Sorry but as a parent of a child who is petrified of dogs (and most animals, no bad experience it’s just how she is) I am shocked that ordinary pet dogs would even be allowed into Bunnings! I have no problems with guidance dogs – and while my daughter doesn’t like them around she tolerates them (but won’t go near them) as she can see the full harness they wear. But Bunnings is not a vet or pet store, it has absolutely no reason to allow dogs into the stores. And as for the “one angry Facebook commenter saying this rule exists “because of some silly kid being nipped” how would they possibly know the actual story behind how a child got bitten. Sorry but no. Dogs should not be in Bunnings or any other non-pet related store. I’d think it would be up to the store. If you don’t like it then don’t go there. I would assume there would be an exception for assistance dogs.